Those concerned with the security and privacy of their documents and work generated on their computer, might be interested in a new keyboard which has been created by Preevio called SilentKeys. SilentKeys has been specifically designed to protect “who you are and what you do online” say its developers. By blocking tracking adverts, viruses and hackers as well as preventing identity theft. Check out the video below to learn more about the inspiration and design behind the new security conscious SilentKeys keyboard which is taken to Kickstarter and has already raised over €100,000 thanks to over 660 backers. Its developers explain a little more. 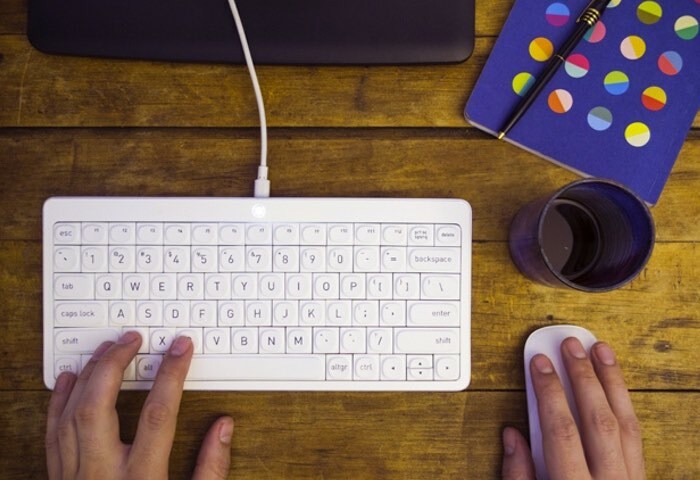 SilentKeys is a Plug’n’Play USB keyboard that protects you both off-line and on-line. Keep control over your privacy and safeguard your computer from viruses, snooping and hackers. Protect your keystrokes from key-loggers. Go anonymous at the push of a button. Encrypt your data and safeguard access to Paypal, Facebook, bank as well as all your on-line accounts and credentials. Protecting your privacy is not about having something shady or nefarious to hide, it is simply about your private things not being anyone else’s business. We all need a place where we can go and be free of the judgmental eyes of other people. Some imply that citizens and businesses who take measures to avoid tracking or surveillance are weird, guilty or paranoid. This logical fallacy impedes debate and implies that it is normal for government workers and corporation marketers to know everything about us, whether we like it or not. This line of thinking shows no regards for our individual freedom, national Constitutions and the UN’s Human Rights Declaration, all cornerstones of free societies. Did you know 700 million people across the world changed their on-line habits following the NSA revelations? If you are thinking of backing the SilentKeys project via Kickstarter there are 6 days remaining on the campaign and the team has already raised double what they required to go into production. For more details jump over to the Kickstarter website via the link below.